It was a crisp autumn afternoon, over three quarters of a century ago, when all but 10 of the approximately 40 Chicago lawyers of Italian descent, who, bound by professional and ethnic ties, and conscious of their heritage, met in the “Ashland Block”, where until fairly recently the Greyhound Bus station stood on Clark and Randolph Streets. 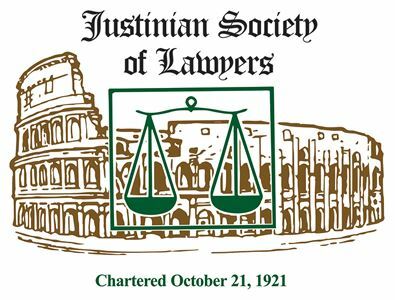 Out of that meeting on October 17, 1921, the Justinian Society of Advocates (later named The Justinian Society of Lawyers) was formed. 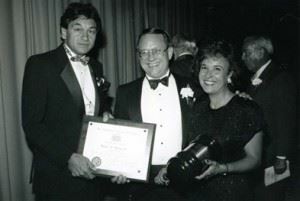 It was my good fortune to know many of the charter members of the “Justinians”, as they came to be known, after I was admitted to the bar and joined the Society in 1949. They were, in good part, leading members of the bar, as well as civic leaders. Some were World War I veterans; many others were also prominent in business. A large number of them were born in Italy and were brought as youngsters to the United States by their immigrant parents. Today’s young lawyers have student loans to pay — these pioneer Italian-Americans who formed our society had their families passage to pay, owed to those who financed their voyage here. Their parents had little or no formal education and no skills. But by dint of the great sacrifices made by these parents, plus their own hard work, both in school and at the jobs most of them had, our predecessor Justinians “made it”. ‘They blazed a trail for us. 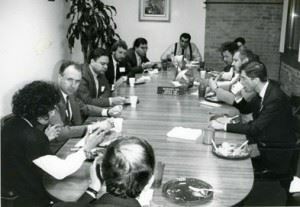 As indicated above, there were only forty Italian-American attorneys when the Justinian Society was organized in 1921; my scanning of Sullivan’s Law Directory indicates that there are now approximately fifteen hundred. In 1949, when I became a Justinian, there were only five sitting judges of Italian extraction in our state and federal courts in Illinois -there are now more than four dozen. In 1949, we had only nine women members. Today, we have well over one hundred on the membership rolls of our society. We are exceedingly proud that one of them, a longtime member of our society, whose father, Sam Coco, was a very early Justinian, is the first Italian-American woman to ascend the bench. 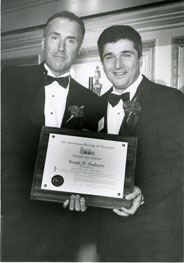 John Gigante has been one of the most recent presidents of The Chicago Bar Association. Three of our members have been presidents of ‘The Illinois State Bar Association — Lawrence Pusateri, Michael Coccia (both former Appellate Court Justices) and Leonard Amari. These achievements are emblematic, the realization of the American Dream: One’s individual qualities, i.e., his/her worth as an individual is of the greatest importance, not one’s religion, race or national origin. But we must always keep in mind that success is highly infectious. We share living in this beloved republic of ours with others whose ancestors were here before Columbus, and with those whose forebears came here, as author Jerome Bennet, Jr., put it, before the Mayflower. 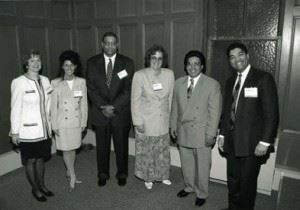 We can do no less than to ensure that the opportunities that have been extended to us are made equally available to all others, regardless of creed, color, gender, national origin or ancestry. For the yearning of equality of opportunity and for freedom from discrimination is but a refraction of our own experience.